Exmouth Masters swimmer Bill Letch is a Masters World Championship gold medallist and will be one to watch in the 75-79 Yrs age group at the London 2016 European Championships. What are your earliest swimming memories? I learned to swim at Woking Lido in 1948 when I was eight years old. The open air pool only operated from May until September and at the front end of the season the water temperature rarely went above 16.6°C! My best achievement as a schoolboy was to win the Surrey Schools 66 ⅔ yards Backstroke title, but I was competing against boys who were training 12 months of the year compared with my five months. I started to produce times as a 60-year old which were faster than when I was a teenager. 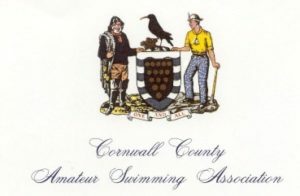 Swimming has always been my favourite sport and I later became interested in teaching and coaching and took the appropriate exams such as the ASA Advanced Teacher and ASA Club Coach award and combined this with becoming a County judge and timekeeper for Surrey, Kent and Somerset. Over the years I was a member of Guildford City SC, Mote Park Maidstone SC, Street Somerset SC and Kingston Royals SC. When did you become involved with Masters swimming? 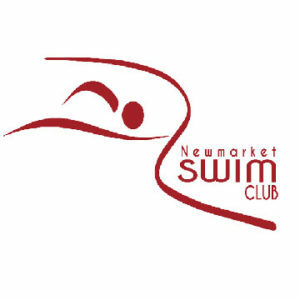 It was at Kingston Royals where I really got back into competitive swimming and Masters under coach Jim Dobinson and started to produce times as a 60-year old which were faster than when I was a teenager! 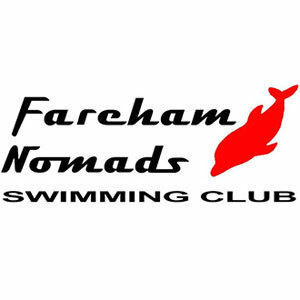 During the last 15 years I have been able to establish British and European records on freestyle, butterfly and individual medley. The family moved house from Wells in Somerset to Budleigh Salterton in Devon in 2005 and I joined Exmouth SC and have benefited considerably from the coaching of Bob Clarke. In 2010, I went to Sweden for the World Masters and secured two gold medals in the 50m and 100m Freestyle, two silver in the 200m and 100m Butterfly and a bronze in the 50m Fly. That year I received the ‘Swimmer of the Year’ trophy from Devon ASA. 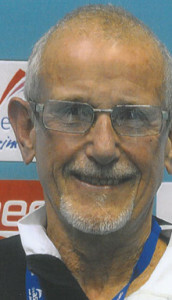 At the 2010 ASA Masters Short Course Championships at Sheffield, I broke five British records and became the first 70-year old British swimmer to break 30 seconds for the 50m Free. I also finished second in the Decathlon competition. In March 2013, I was diagnosed with atrial flutter which is a condition where one’s heart beat can elevate to a high level and take hours or longer to return to a resting beat. I was prescribed a daily beta blocker pill and recommended to train aerobically. 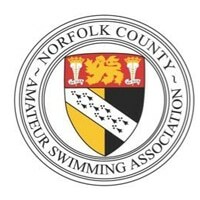 I didn’t compete again until 2015 but at the ASA Masters Short Course Championships, I managed to break four British Masters records in my new 75-79 years age group. What is the structure of your training for the London 2016 European Masters Championships? I train five times a week, essentially still swimming aerobically but with some anaerobic sprints and covering 10-12 kilometers per week. I have also been following a pilates and yoga programme four times a week to help improve my flexibility and strength and I plan to swim the 50m and 100m Freestyle and Butterfly events in London. As one gets older, appreciation of the dedication and ability of swimmers such as Jane Asher grows. Another swimmer who inspired me with his amazing times was the New Zealander Barry Young, who sadly died last year, but whose world records will, I’m sure, last a very long time.